Earth Hour 2008 is a global event taking place on March 29th at 8pm (local time). The event aims to increase awareness about global warming by asking households and businesses to turn off their lights and all non-essential appliances for one hour. 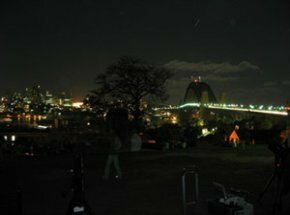 The event started out in Sydney, Australia as Earth Hour 2007 and had an estimated 60,000 Sydneysiders taking part. This year the event has gone worldwide and has more than 25 partner cities in the U.S.A, Europe, SE Asia as well as other major capital cities across Australia. You can sign up for Earth Hour at their website, as well as receiving ongoing tips about reducing your impact on climate change.